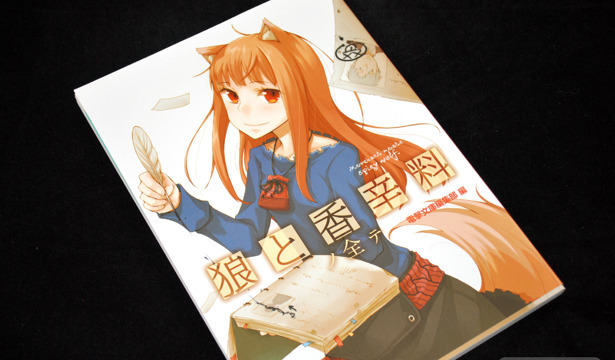 Ayakura Juu Illustrations Spice and Wolf marks the first art book by the artist, and the most comprehensive collection of Spice and Wolf art work to date. The slip on book obi boasts an incredible 400 illustrations, and while technically true, that's counting a lot of back cover pictures of apples and coins along with small monochrome thumbnails into that total. 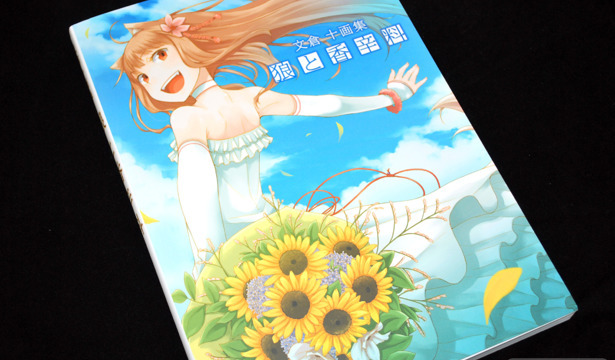 In fact, if you also purchased Rainbow Spectrum: Colors Haimura Kiyotaka Illustrations you'll experience a slight sense of déjà vu as the two books utilise a rather similar layout to bring together the monochrome and color works from the light novels and other media. 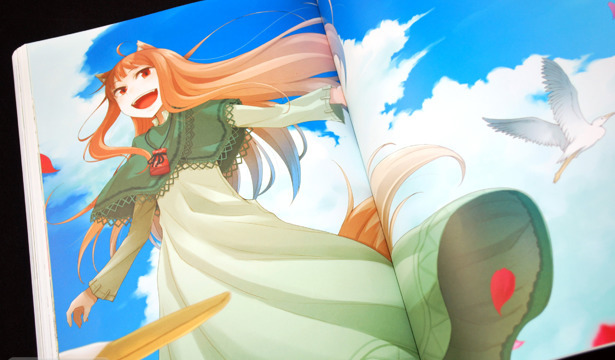 But Spice and Wolf does it better on the whole.